3-D Monster: Lon Chaney Jr as "The Mummy"! Lon Chaney Jr as "The Mummy"! 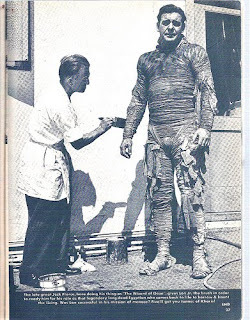 This is a great shot of the late, great Lon Chaney Jr. having his costume brushed up on the set of "The Mummy's Ghost". Via Random Acts of Geekery.